Take one mixi bowl and blend mango pulp, double cream, sugar. keep aside. Take one microwave bowl and melt white chocolate for 30 sec. add single cream and mix well. keep aside and let it cool. its call white chocolate truffle. Take one serving glass. 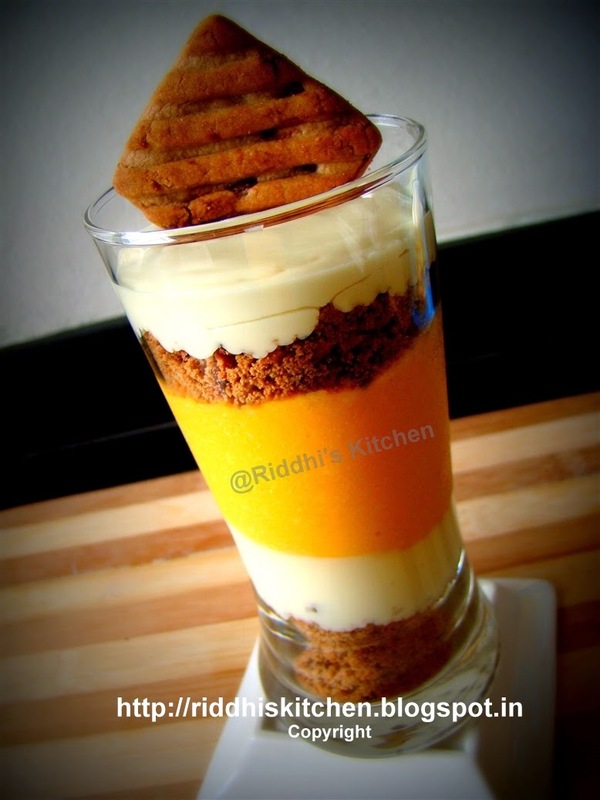 add chocolate biscuit crumbs, pour white chocolate truffle, pour mango mixture, again repeat biscuits crumbs, pour white chocolate truffle.